Chronicles every case of the world's greatest detective and his assistant Dr Watson. This book explores every facet of Sir Arthur Conan Doyle's most memorable creation. It offers all you want to know about the sleuth and his stories. The Sherlock Holmes Book chronicles every case of the world's greatest detective and his assistant Dr Watson. The game is afoot and now you can discover every detail of Sherlock Holmes' world. From the first novel A Study in Scarlet, through to the masterpiece that is The Hound of the Baskervilles and the detective's last story, The Adventure of Shoscombe Old Place, The Sherlock Holmes Book explores every facet of Sir Arthur Conan Doyle's most memorable creation. 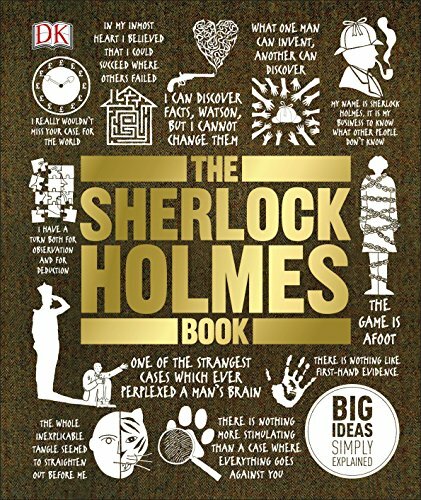 Discover how Holmes reaches his conclusions through deductive reasoning, plus in-depth biographies of key characters, from Holmes and Watson themselves to Inspector Lestrade, Mrs Hudson, and the detective's arch-enemy Professor Moriarty. Whether you're a fan of the books, movies or TV shows, The Sherlock Holmes Book offers all you want to know about the world-famous sleuth and his stories.